One of the most frequent questions I get asked on Instagram is where is that rug from? Specifically, that vintage rug. Its no surprise that these rugs are so popular – they’re oh so beautiful, very versatile, kid-friendly and built to last. If I could have nothing but vintage rugs in my house, I’d be cool with that! And where does one find these amazing rugs without spending a small fortune? 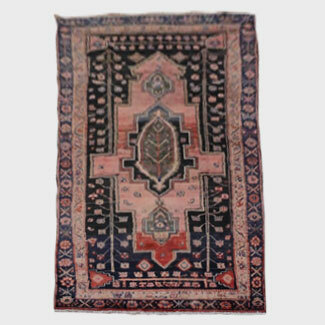 It can be a challenge to find them because vintage and antique rugs (especially larger ones) can get pricey. Luckily I spend way too many hours on the internet and I know where to look! In general these are more affordable options from bigger stores that range in price from $90-$500. I should mention there are a ton of amazing small shops out there that carry a beautifully curated collection but usually have higher prices. There is a lot of work involved in sourcing, curating and even cleaning these babies and that isn’t cheap! I’ve got nothing but love and respect for what they do (and purchase from them when I can), but today I’m going to focus my efforts on more budget friendly versions. I usually go here first. They have incredible prices and the shipping is insanely fast! There are literally thousands to choose from, so I took a couple of hours and narrowed down some afforable options under $500. Lots of fun pastels in this batch! Lots of bargains to be found here. I’m very bad at bidding (I’m impatient) so I usually search for the Buy It Now options, but you could probably save a bunch by doing the bidding route. One of these is under $100! And remember, vintage rugs are one of a kind! Come back tomorrow for some great vintage-inspired rug options that are just as affordable and more readily available!